Imagine the rose Paradise with more blue, mysterious smoking and marvelous fragrance. Then dream on about a vigorous tall plant that produces armloads of very long elegant buds atop premium-length cutting stems. 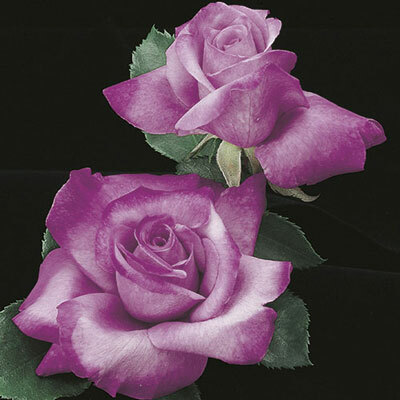 Now picture this plum pretty plum-colored Grandiflora with lush deep green foliage at home in your garden. Comments: Color brightens with some heat. Best form when cool. Appreciates a little afternoon shade.